Performers include: Paul Rhys, Jodie Whittaker, Harriet Walter, Stuart Milligan, Julian Ovenden, Christina Cole, and Ralph Brown. This drama is based on the real life events of CIA counter-intelligence officer Sandy Grimes (Jodie Whittaker). The story takes place in 1985 during the end of the Cold War. 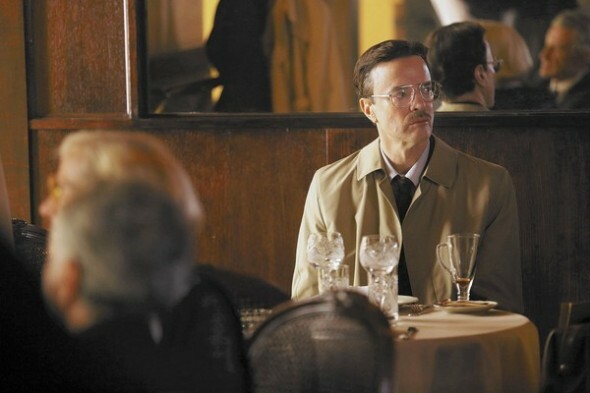 Sandy and her partner Jeanne Vertefeuille (Harriet Walter) have vowed to find the mole that would turn out to be the most notorious traitor in US History, Aldrich Ames (Paul Rhys). Sandy is in a race against time to save the Soviet intelligence officers from being caught and killed. Also a beautiful wife and mother, Sandy lives her own double life and has vowed to stop at nothing until she uncovers the truth. What do you think? Do you like the The Assets TV series? Do you think it should have been renewed for another season? The Assets: New ABC Mini-Series; Cancel or Keep It? Great segue dn it was cancelled. My wife and are inand also best friend are hooked on it! I really love the mini series. It is one of the best TV series I have seen among Alias, Homeland . It is even better since it is based on true stories. This show should continue. The cast is very good also. I really liked the mini series primarily because it was based on the true story. I think it is better being a mini series than stretching it out always looking for drama. It would have become unbelievable probably. The ninth episode on Netflix hits on the authenticity of the mini series. Great idea for a series but the writing is weak. Compare this effort to shows like “The Americans ” or the “Blacklist” and it just doesn’t stand up. I watched it on Netflix and I was honestly shocked at the poor quality of writing, acting, and production values for a series from a major network. This is truly one of the best mini-series I have watched in a LONG time. I caught all 8 episodes on NETFLIX and was “hooked” after the second episode. While this is a tragic story, it is absolutely spellbinding — and it’s a pretty accurate portrayal of actual events in the Ames spy case. It’s terrible that one would sell out his own country for money. I recommend this mini-series be viewed by all patriots. If the network doesn’t pick it up, I hope Netflix will. At this point I’ll accept Crackle picking it up. Great tv. I found it on Netflix and almost didn’t watch it. So glad I did. Please, rethink the decision of canceling this program. This series has all the makings of a great TV. The storyline is based on facts and truths, hard to find in television these days. Find the right platform and time slot, this show will be a winner. It has the potential to a breakthrough hit. Please, reconsider renewing. Discovered The Assets on Netlix. I suspect many will discover and fall in love with the show…especially the cast. This show should be picked-up by Netflix as it is a perfect fit for the “House of Cards” audience. The writers, production team and cast are just too good to waste.